The aim of the club is to promote the ART OF BONSAI by providing local facilities where people can meet and share expertise. All ages and skill levels are welcome. 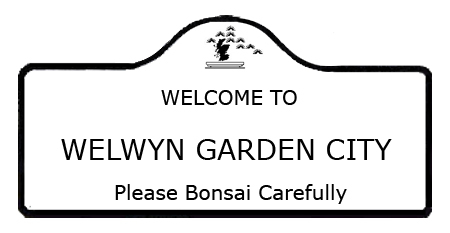 Mid Herts Bonsai Club was founded in 1984 and has around 45 members including 7 commitee members. The club meets up on the third Wednesday of every month (except December) from 7.30pm to 10.00pm The meetings are generally based around a workshop, talk or demonstration from club members or guest speakers. The annual programme includes workshops, speakers (club members and visitors) and social evenings. There are 819 published entries in the Bonsai A to Z and the pages have been viewed 3061106 times. You can view all of the items in our Glossary of Bonsai Terms. Help us to increase the number of relevant bonsai terms included in this A to Z of Bonsai Terms. We include manufacturers and dealers in the dictionary, if you are one or know of one not mentioned then just click the link above and add an entry. If you have a favourite bonsai tree not mentioned just add an entry. We are trying to create a unique single free source for all bonsai terms and hope to capture worldwide bonsai terms for bonsai trees, bonsai clubs associations and national collections and the A to Z is free marketing for bonsai businesses and bonsai clubs.